The last stop of my California road trip was in Sequoia National Park. 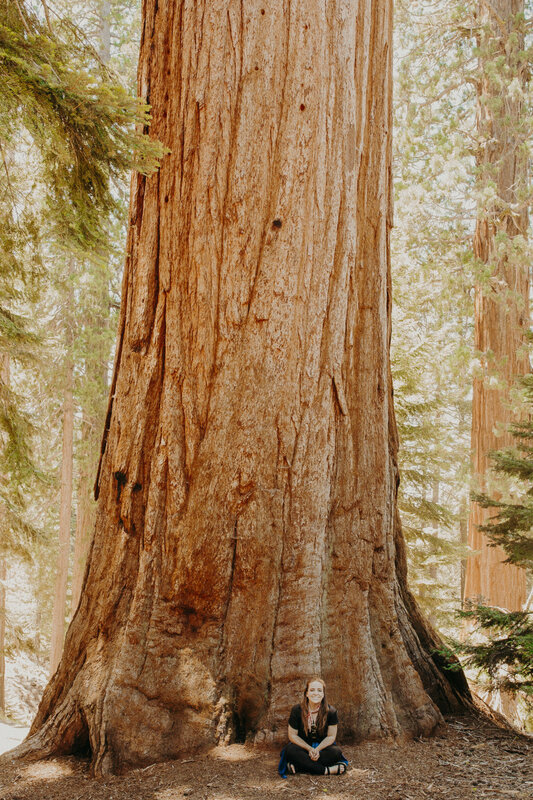 A visit to this park had always been on my bucket list; I wanted to know how it felt to stand among the giants! It's one of those experiences that you can't really comprehend until you're there - until you're staring straight up the sides of the two hundred foot trees... From Giant Sherman, the largest living tree in the world, to Moro Rock, the granite dome with the three hundred foot staircase, my dad and I loved every bit of this beautiful park! We started the day by wandering through the Giant Sequoia groves. 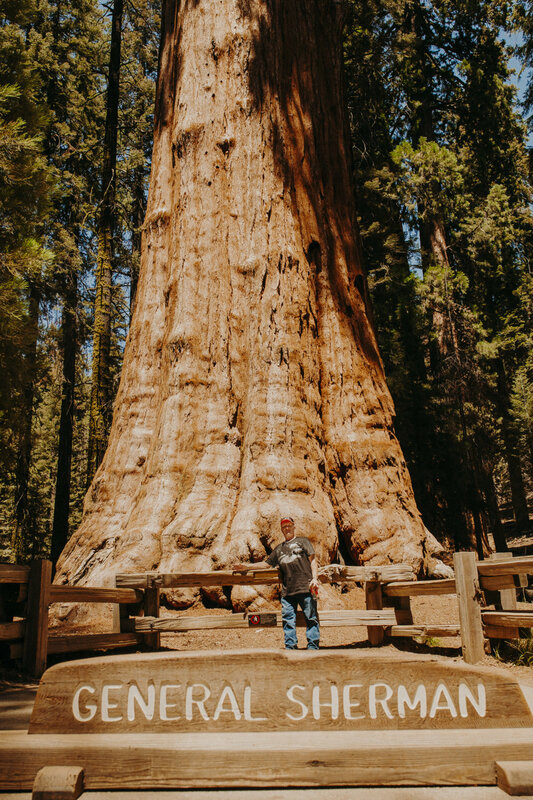 My dad couldn't wait to have his picture taken with General Sherman, even with the long line, while I was more interested to find a quiet spot to take it all in. Of course we were able to do both, before heading over to Moro Rock, where we climbed the stone staircase to the top of the granite dome. The view from here was spectacular, making it one of my favorite spots from our entire trip. As we climbed back down the staircase, we noticed the other park guests all focusing their attention on the trees. To my delight, just barely visible through the harsh, sunlit grove, was a mother bear and her two cubs. I had already packed away my camera, and with the bus due to arrive at any moment, I quickly used my iPhone to snap the best pictures I could, while trying not to disturb the little bear family. Once we made it back to my car, we took some time to soak in our surroundings, while eating our dinner, before heading to our last lodging of the trip. By far, the best lens cap out there! Snag your wood lens cap here! Out of all the road trips my dad and I have taken over the years, this was definitely one of my favorites! The California National Parks are definitely must-sees for all!